Usually micro suction does not need pre-treatment with drops but two days of Earol (clinically treated olive oil) is the best preparation. We will l examine your ear using a binaural microscope (either fixed or with loupes glasses) and, using a fine low-pressure suction device, safely remove the blockage. 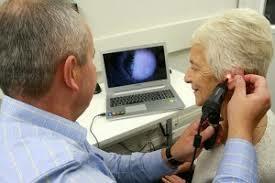 Also, using a video otoscope we will show you the condition of the ear before and after the treatment. The Benefits of Our Microsuction Ear Cleaning…. Using our services ensures that you have your earwax removed safely, quickly and by a person you can trust. The process is usually over in a few minutes and the majority of people find it easy and comfortable. The process is the safest way to remove earwax as the professional can see everything they are doing during the removal. 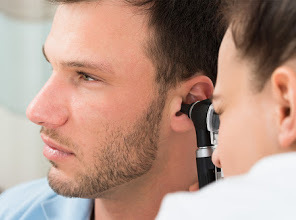 A GOOD VIEW OF THE EAR……The hearing healthcare professional has an excellent view of the earwax and the ear canal and they can always see what they are doing. Making it safe for you. NO MESSY WATER USED ……No water is being flushed into the ear canal as happens with ear syringing or ear irrigation. Instead the procedure is performed dry significantly reducing the risk of infection. SAFE : Micro-suction is the preferred method of treatment for medical staff and patients alike for guaranteed effective and safe removal of ear wax. Pain-Free and Quick: Micro-suction is totally comfortable and in most cases, the blockage is removed in minutes.